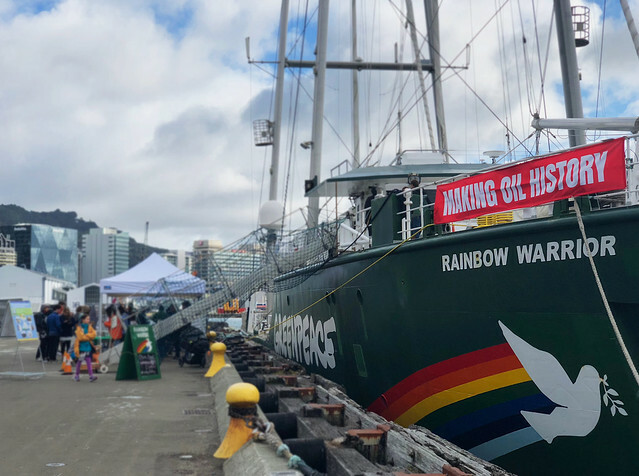 Greenpeace’s Rainbow Warrior flagship is touring New Zealand this month, celebrating a victory in the fight against oil exploration. After years of lobbying and petitions, Prime Minister Jacinda Ardern has announced a ban on all new offshore oil exploration. Greenpeace spokesperson Angela Janse van Rensburg says activists were the main catalyst for the legislation change and it’s a great victory, but there’s still more to be done. The organisations next push will be encouraging New Zealand to move towards renewable solar energy. Greenpeace wants to end oil and gas subsidies, and use that funding to bring solar power to 500,000 homes by 2030 instead. The Rainbow Warrior open days are encouraging new volunteers to support the cause. Janse van Rensburg says activism can be a scary word, but there are many ways people can get involved, and it’s important that they do. Greenpeace relies on public donation and volunteers to keep afloat. The Rainbow Warrior was crowdfunded and built with sustainable materials to align with the organisations ethics.